With Open Arms Homecare, LLC. is where compassion comes first. We offer home companion/homemaker services throughout Alachua, Bradford, Citrus, Columbia, Dixie, Gilchrist, Hernando, Hamilton, Lafayette, Levy, Lake, Marion, Putnam, Sumter, Suwanee, and Union counties. 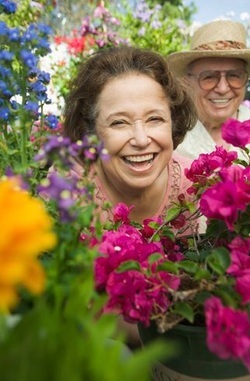 We offer high quality and affordable home companionship to our clients. We go above and beyond to provide the best service possible to make our clients as well as their families happy. Call us today 386-292-1792! NOW ACCEPTING NEW CLIENTS, CALL (386) 292-1792 TODAY! With Open Arms Homecare has a staff that is talented beyond words. Whether it is due to health issues or other limitations, preparing meals might be tough for some clients. Let our home companions take the load off of you. Our staff can prepare delicious meals based on dietary needs and preferences. Find out what's cooking! Call us! We all lead busy lives. 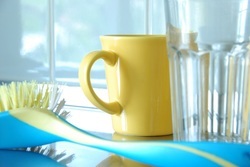 It does not matter if injury or age slows things down a bit, everyday necessities are still on the regular rotation. Doctor's appointments, grocery shopping, picking up prescriptions, trips to activity centers, and so much more. With Open Arms Homecare provides a reliable travel companion which might be necessary to allow clients to continue their normal rotation as they see fit. A member of our staff can accompany you while you run errands or run them for you. Call us today for more details. ﻿While some things might seem easy for some, they can be difficult for others. Medical or physical limitations can often hinder such things. There is nothing like sitting back and allowing the story to take shape as someone reads it to you. It might even be the newspaper or interesting articles. Let us do that for you. It is certainly our pleasure to assist you. Call today for details. Sometimes clients might not have the ability to get regular housework done due to post-op recovery, disabilities, or other limitations. The dishes might be piling up in the sink or there is dusting needed in areas that are hard to reach; sometimes even beds can be a challenge to make. Let's not forget how scrubbing the bathtub can wreak havoc on an already weakened back. Let one of our staff members at With Open Arms Homecare take the load off for you. Why wait? Call us today for a no obligation quote! Sometimes people just need someone to be around. Our friendly and dedicated staff are very happy to provide much needed adult companionship to our clients. It might be something as simple as brushing one's hair, assisting with make-up tips, or even talking about the latest movies. 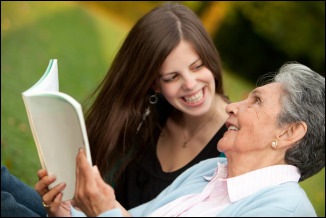 With Open Arms Homecare gives clients that loving support that they truly need. 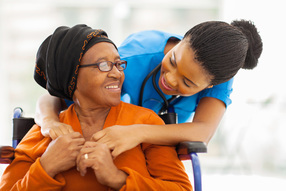 Caregivers have hearts of gold to sacrifice the time, effort, and attention to the ones they care for. It could be loved ones or clients, however, the dedication is still paramount. Often times, caregivers need a break just like anyone else. The workload can sometimes be overwhelming and the caregiver may need some additional adult companion support with the simple things whether it's cooking, chores, or even errands. With Open Arms is an affordable option to provide much needed relief for caregivers as well as family members.